So yes, my eyes have been on gold as I have been scrolling through Pinterest. This card is gorgeous, and I’m definitely going to be embellishing some glass just like the ones here. I bought a plaque of wood in May that I’d intended to paint my Whisk Bakeshop sign on for the farmers’ market booth. It was just too small for my sign, and it’s been sitting on my desk with a coat of chalkboard paint, waiting to be finished. I actually saw this plaque a few days ago, which was weird and a bit shocking, because it was exactly what I’d been planning on making. I had only waited to do it because I just couldn’t decide on the words…that is, until gold fever set in this week! I’m so happy with the outcome, it being my first experiment with using gold leaf and all! I’ll be adding hardware so it can hang on the wall. Would you like it on your wall? I’d totally hang this up on my wall! It’s really pretty. 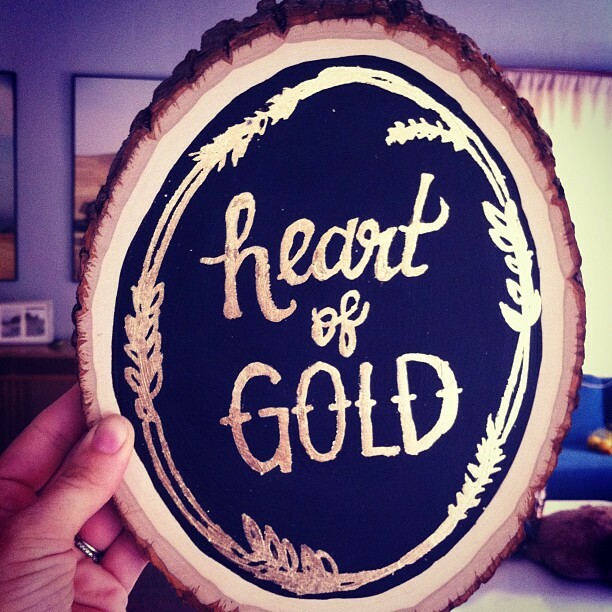 I’ve never worked with gold leaf, but I’ve been crazy about spray painting things gold. 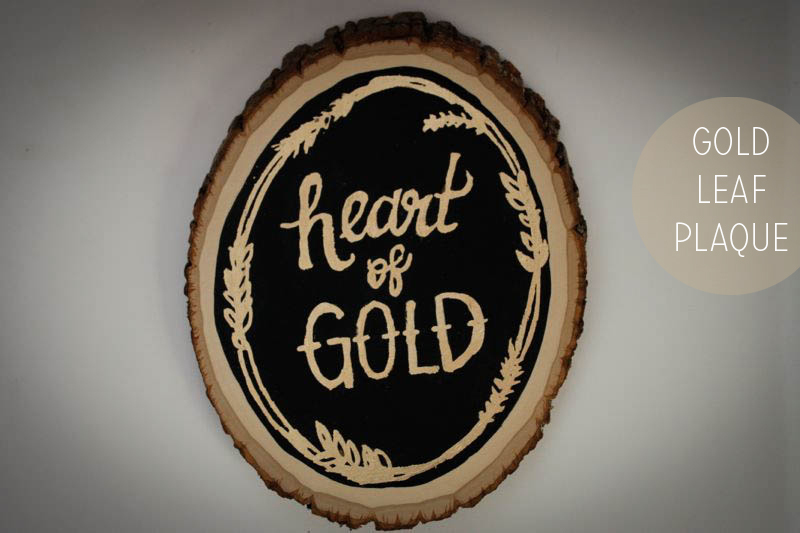 Gold fever is where it’s at. 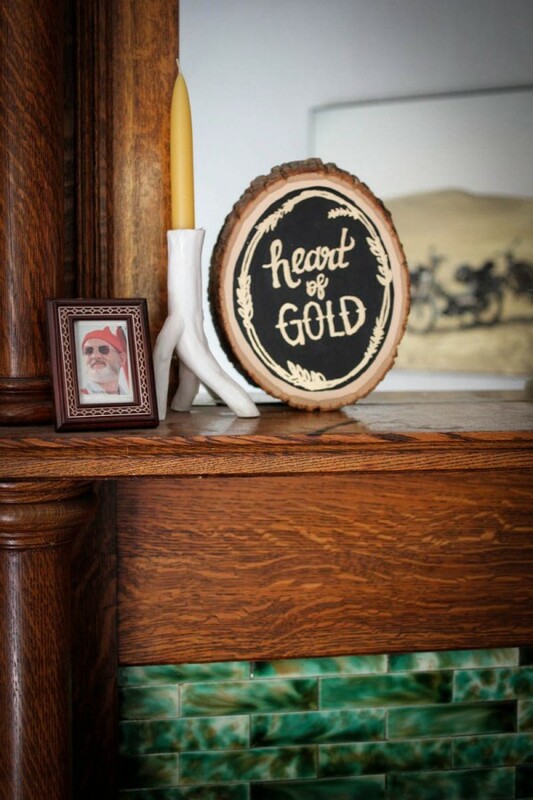 I pretty much fell over when I saw this on Instagram… I love the wood/chalkboard/gold leaf combo so much! Not to mention Heart of Gold is one of my all-time favorite songs. Oh, you’re so kind! I love that song to! I’ll let you know if I make a bunch to sell!